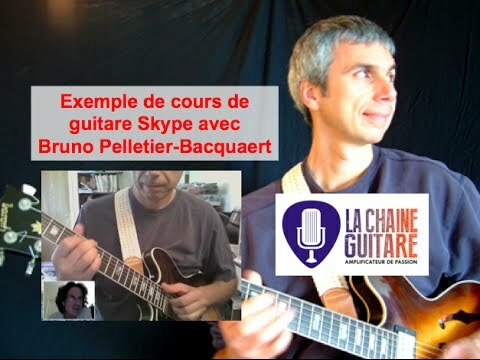 Cette chronique est en anglais car Bruno l'a faite pour The Guitar Channel. Elle est aussi à disposition tel quel des backstagers francophones. 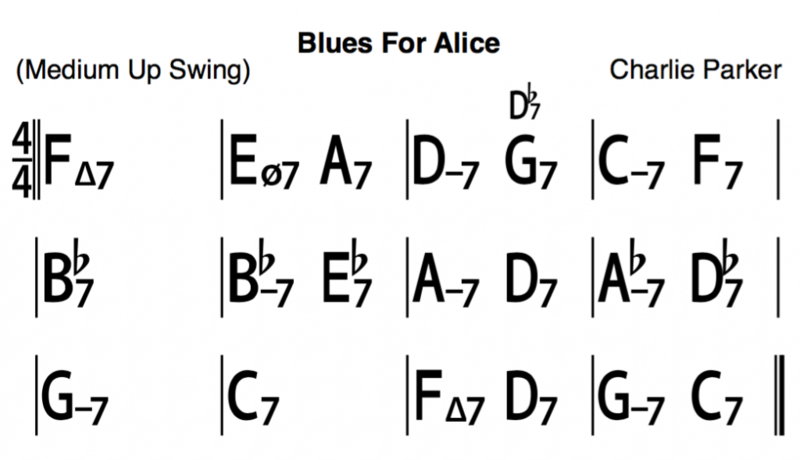 We are continuing our study of “Blues For Alice” with 2 simple comping studies. 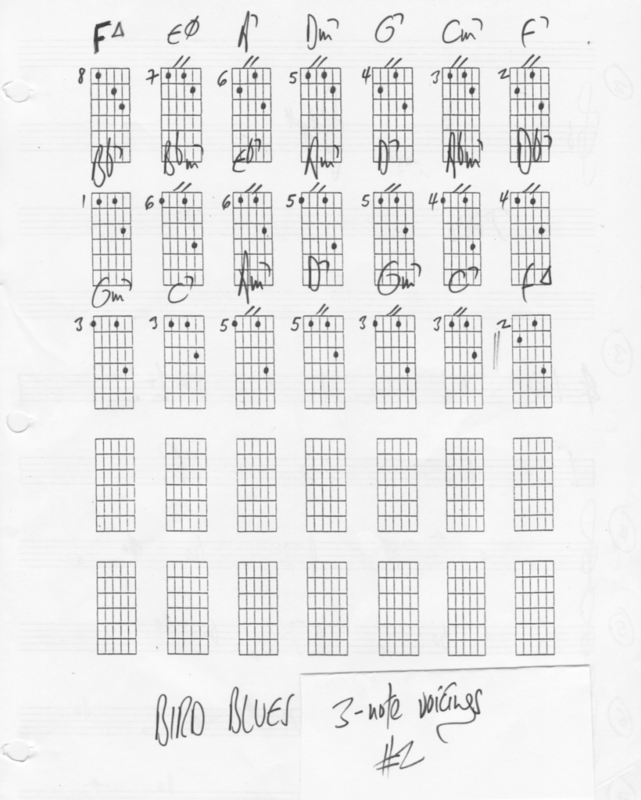 Those studies use basic 3 note voicings. 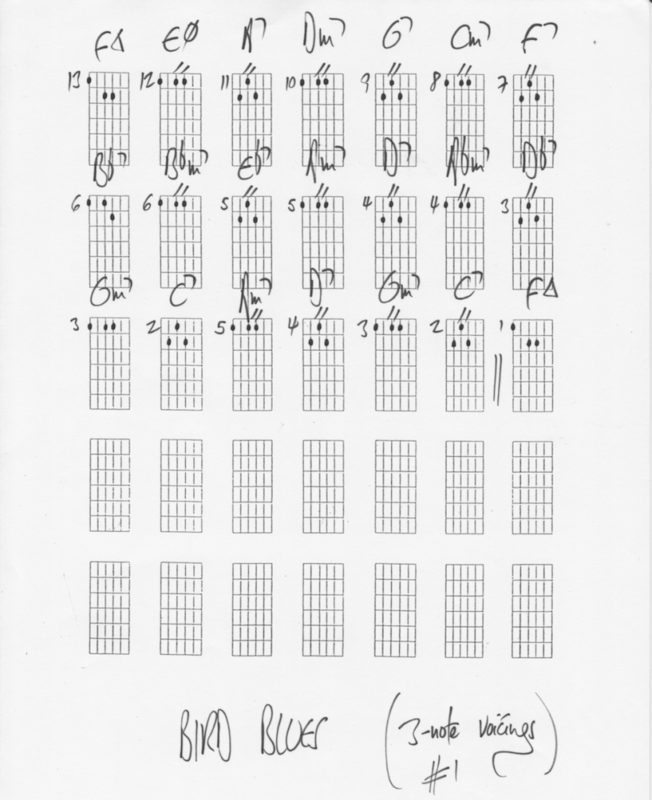 3-note voicings are 7th chords reduced to their simplest form: the Root, the 3rd, and the 7th. The omitted note is the 5th, simply because it is considered the least important note of the chord. In the first study, the 3rds and 7ths of the chords are played on strings 3 and 4. In the second study, the 3rds and 7ths are played on strings 2 and 3.